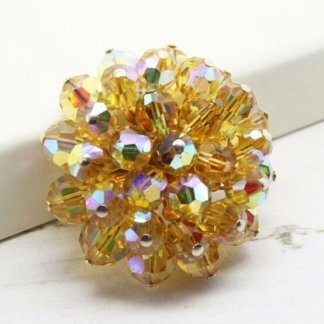 Description: This wonderful brooch will put a smile on anyone’s face, cute and adorable, this brooch has been styled as a fluffy Pekingese. 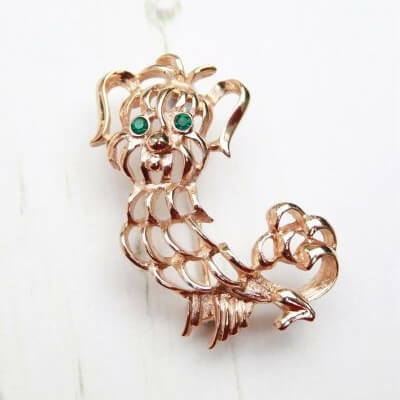 It’s well groomed ‘fur’ features an all over gold plated shine, with wonderful bright green rhinestone eyes. Measuring 4.4cm tall, fully signed to the back and with a strong roll lock clasp. He is in good condition showing slight to no wear, and will take little looking after and brighten any day. Can you give this little fellow his forever home? 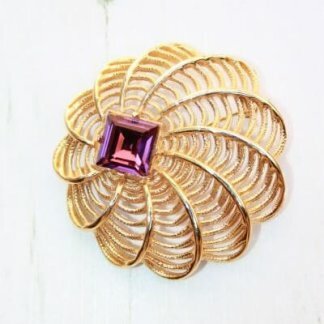 This brooch pin as been seen listed in a 1972 Avon catalogue.